Posted on January 15, 2019. Subscribe to our blog by email. Welcome to the January 2019 issue of the Global Washington newsletter. While incredible progress has been made in reducing extreme poverty and improving health and well-being worldwide, those who live in “fragile states” are increasingly being left behind. Fragile states are regions in the world that lack the capacity to manage political, economic, social and environmental risks – leaving their citizens more vulnerable to shocks and crises that arise. At our conference this past December, Global Washington made a commitment to support our members who are working to achieve the Sustainable Development Goals. In doing so, we need to pay particular attention to fragile states and acknowledge the problems where no single solution or intervention is sufficient. Often described as “wicked problems” these are challenges that can be difficult to define, have tangled root causes, and link various stakeholders with diverse values, interests, and positions. Food security, water access, global warming, pandemics, and war. These all can be classified as wicked problems. Action itself in these contexts presents risks… but then, so does inaction. In collaboration with others, leaders must weigh the possibilities as best they can, consider unintended consequences, and find a way forward. This month we are grappling with the immense challenge of improving the status quo in fragile states. 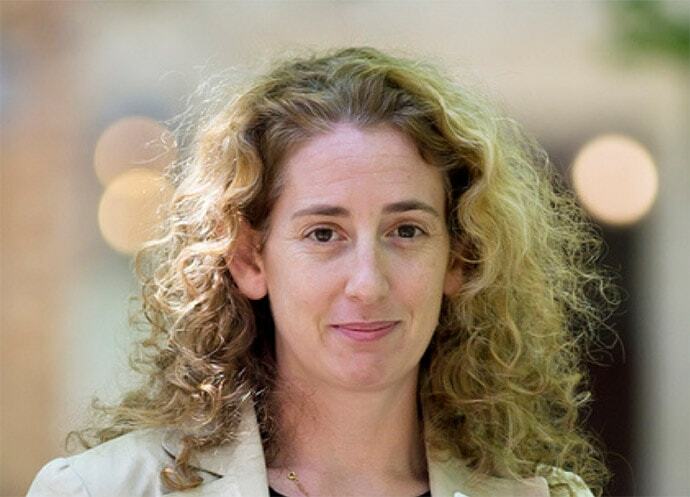 Our January Changemaker is Rebecca Wolfe, Mercy Corps Director of Evidence and Influence. A leading expert on political violence, conflict and violent extremism, Wolfe contributed to the States of Fragility 2018 report by the Organisation for Economic Co-operation and Development (OECD). Another contributor to the OECD report, Jonathan Papoulidis, World Vision Executive Advisor on Fragile States, walks us through how his organization empowers communities in fragile states. Also, you can join the conversation at our GlobalWA event at Microsoft on January 24, which will dive deeper into effective approaches to sustainable development in fragile contexts. We will continue to break down siloes through our monthly issue campaigns. Next up, we will have a conversation with the CEO of Oxfam America, Abby Maxman, and others on February 7 to examine the intersection of economic empowerment and political freedoms for women. I hope you can join us. 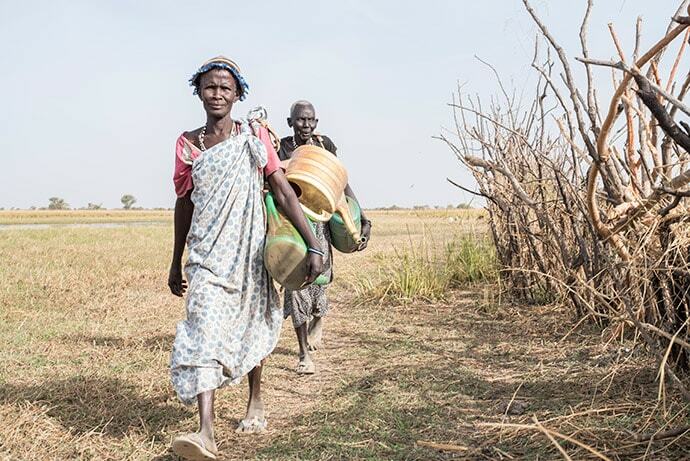 These South Sudanese women are supported by a World Vision program that helps boost food security and community empowerment, while targeting gender-based violence. © 2018 World Vision. Fragility may prove to be the biggest barrier on the road to achieving the Sustainable Development Goals by 2030. Fragile states, loosely defined as countries that don’t have the capacity to manage the political, economic, social, and environmental risks they face, are already the furthest behind on achieving the SDGs. Contrary to the dramatic progress being made to reduce poverty in stable settings around the world, poverty is on the rise in fragile contexts. By 2030, more than 80% of people living in extreme poverty will be living in fragile states. The impact of state fragility is also felt beyond borders. In 2017, the number of people forcibly displaced by conflict and violence hit a historic high of 68.5 million, with over 25 million of those individuals registered as refugees. Violent conflict has also spiked in the past 10 years, and more countries experienced violent conflict in 2016 than at any time in nearly 30 years. With all the progress made towards achieving global development goals, it’s undeniable that there is still plenty of work to do. As the face of poverty changes, and with growing challenges like state fragility, the global refugee crisis, and climate change, our approaches may have to evolve to truly “leave no one behind” by 2030. While each fragile context is different, all fragile states face a burden where the risks they face are greater than their ability to manage these risks. The Organization for Economic Co-operation and Development (OECD) points to “social capital” as a key component of whether or not a state is fragile. These shared networks and norms for co-operation within a society build stability and trust. When social capital is missing, communities become divided, and people don’t see their governments as accountable, responsive, or able to provide basic services like health or education to meet their needs. The OECD’s 2018 States of Fragility Framework uses five factors to illustrate different ways in which the loss of social capital and weak government institutions can make countries fragile. Political, societal, economic, environmental, or security factors can all contribute to instability in different ways. These five factors also help nuance the term fragility. A country such as Malawi may have relatively stable political institutions, but face more serious environmental or economic risks. Certain regions or demographics within a country may also be confronted with higher risks, such as remote communities, drought-prone areas, or minority groups. Increasingly, the global community is drilling down to analyze fragile contexts rather than fragile states. To further illustrate the complex nature of fragility, risk factors can be internal, external, or a combination of both. This may be self-evident with environmental factors like climate change, but can also apply to other factors. Conflicts in countries like Yemen and Syria are prolonged by political interests of external actors. Qatar, the richest country per-capita in the world, was recently ranked the most-worsened country on the Fragile State Index because of political and economic blockade imposed by Saudi Arabia, Bahrain, and UAE. The inability to weather the storms of natural or human-made disasters, economic crises, or social unrest has a profound impact on whether or not the world can achieve the Sustainable Development Goals by 2030. Fragility continues to displace people around the world. On average, one person is displaced every two seconds because of conflict and persecution. People are being displaced longer than before, with protracted refugee situations now lasting 26 years on average. 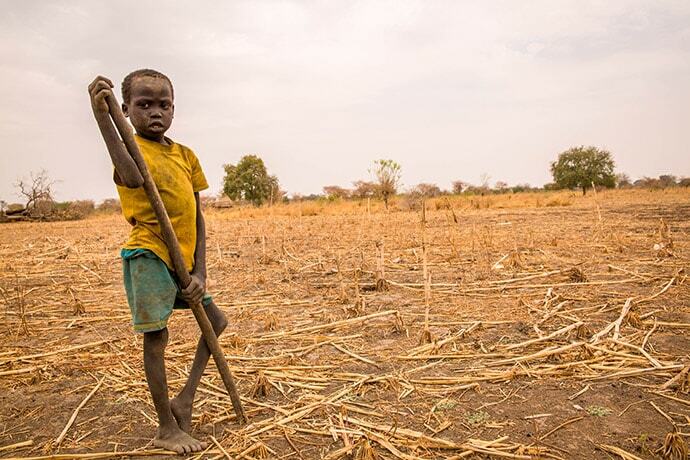 Conflict, violence, and climate change are the leading causes of global hunger. Recent research draws attention to this vicious circle of vulnerability and fragility, estimating that a 5 per cent change in rainfall in Sub-Saharan Africa increased the likelihood of conflict in the following year by 50 per cent. Climate change could push the total number of permanently displaced people as high as 250 million people between now and 2050. Fragility also hurts economic productivity, with violence costing 12.4% in lost global gross domestic product. Conflict can reverse global progress on reducing poverty and intensify other dimensions of fragility. In contrast to fragility, resilience is the capacity to recover quickly from difficulties. Resilience is already a concept promoted in international development efforts, particularly in sectors like food security, climate adaptation, and disaster preparedness. And while it may have been the development buzzword of 2012, resilience focuses on analyzing risks and developing strategies to avoid or manage major crises. We see parallels in today’s efforts to address fragility. So what’s new? Just as the OECD’s Fragility Framework helps connect the dots on the range of factors that drive instability, it can also be used to guide efforts that build resilience. A “fragility-to-resilience” perspective is multidimensional, paying closer attention to the social bonds within communities, the strength and inclusivity of political and economic systems, and exposure to climate-related shocks. These factors allow development efforts to not only be risk-aware, but also proactively address root causes of fragility in the first place. There are many ways that organizations are already putting this awareness into action. Women’s meaningful participation in the workforce, decision-making, and peace processes dramatically reduces the risk of instability. Countries where women make up 40 percent of the workforce compared to 10 percent are 30 times less likely to experience internal conflict. Conflict-sensitive programming helps organizations understand the social fabric of communities, identifying the issues they face, local strengths for conflict management, and integrating strategies to minimize unintended harm. Others are focusing on creating opportunities for youth through education and nonviolent civic engagement in contexts like Somalia, effectively reducing youth participation in and support for violence. Encouraging governments to be more inclusive, especially for youth, can prevent experiences of discrimination, abuse, and corruption that drive youth to take up arms. The willingness to embrace the “fragility-to-resilience” paradigm is gaining traction among development, political, and security actors. Last year, the U.S. Government released a new, multiagency framework that provided a shared definition of “stabilization,” embracing key principles for more effective action. While global spending efforts on conflict prevention currently represents only a fraction of the amount spent on crisis response and reconstruction, development actors are showing a willingness to change this trend. Last year the World Bank doubled its investments in fragile states. The OECD’s 2018 State of Fragility report also calls for donor countries to provide more and smarter aid in fragile contexts. At its heart, building resilience acknowledges the goal of healthy relationships between government, civil society, and business. As the UN-World Bank joint report Pathways for Peace acknowledges, “For all countries, addressing inequalities and exclusion, making institutions more inclusive, and ensuring that development strategies are risk-informed” will be critical to building resilience and achieving the Sustainable Development Goals. World Vision works with children like Adol and communities to support greater food security and livelihoods in South Sudan. © 2017 World Vision by Stefanie Glinksi. Since 1950, when World Vision launched its operations by helping orphans and children in North Korea, many of the Federal Way-based organization’s key moments have been shaped by refugees and fragile states. Now, nearly 70 years later, the organization is honing in on that need with a new global strategy. It’s called Our Promise 2030, and it brings together World Vision’s many decades of experience, resources and programs to better help children and communities in the hardest places in order to accelerate progress toward the Sustainable Development Goals. The Organisation for Economic Co-operation and Development (OECD) estimates that by 2030, about 80 percent of the world’s extreme poor will live in fragile states. Currently, the OECD lists 58 countries as “fragile contexts.” World Vision works in 38 of them and has long-term development programs in 24. In total, the organization, which is one of the world’s largest non-governmental aid agencies, works in nearly 100 countries. As World Vision has remained focused on a broad mission to help vulnerable children and communities at home or on the move, their experience and data has led them to work in fragile states for more than three decades. Through its vast humanitarian and development operations, as well as its advocacy and policy work, World Vision is trying to promote a paradigm shift that considers the larger picture from the get-go. It includes recognizing that conflict is only one piece of the fragility puzzle, along with poverty, grievances and high vulnerability to natural disasters, pandemics and global price shocks. “What we see now are some very promising thinking and trends in the development space, but we don’t see them fully fleshed out yet, and we don’t see them combined into a paradigm or a package where they’re working together,” says Papoulidis. For example, development agencies are working hard to build resilience in food security, disaster risk reduction and climate adaptation. But Papoulidis says that resilience efforts are being “stove-piped” into these sectors instead of being applied to the complex interacting risks and crises in fragile states. “There’s a great need to de-silo this thing and get it into a much broader systems approach that considers political, economic, environmental, social and security factors,” he says. For example, World Vision is part of a consortium of seven aid agencies called the Somalia Resilience Programme. It provides families across the country with multiple livelihood options to increase their food security and ability to withstand natural shocks. But through local associations and savings groups, it also helps build social capital, which World Vision has identified as a key driver to strengthening resilience to multiple risks in fragile contexts. It’s important, according to Papoulidis, to build social capital along three tracks: bonding, bridging, and linking. Bonding is strengthening cooperation within communities that already share common ties like worldview, ethnicity, and boundaries. Bridging is building reciprocity – even trust – between communities that are disconnected or even divided with tensions. This could include mediating between ethnic groups that are at odds with each other or supporting regional hospitals that bring together different communities. Linking is connecting communities to formal institutions like governments and formal banking. Building social capital along just one or two of these tracks could actually deepen division, inequality, or exclusion. In the context of refugees, for example, this includes building cooperation within refugee camps or connecting them with host communities, connecting them with the broader community surrounding refugees, as well as working with the government to provide solutions that are not only for refugees but also for others who are disenfranchised. “Having the lens of knowing you’re trying to do all three things at once – bonding, bridging, linking – helps figure out where you’re trying to go as opposed to just doing limited work in one dimension,” says Papoulidis. That larger perspective doesn’t just guide World Vision’s efforts to build social capital. It’s helping to inform their emerging approach to scaling and adapting programs for new contexts as well. “If you’re going to do social capital strengthening, you can only do it at scale, because you’ve got to do bonding with a large group of communities, but also bridging across wide geographic areas, and linking to cross-vertical levels of government,” says Papoulidis. Instead of starting with projects – which may seem less risky – Papoulidis says the development industry needs to start with a scaling model. Instead of only building wells, the question is how can we transform a water system? “Scaling in fragile states is actually less risky than small projects,” he says, because it makes you think through all the systems that enable something to work in a specific context. Do you have political support for this? Is social empowerment and support a core feature? What does your financing look like over the next 10 to 15 years? The foresight it provides, he says, allows you to pull together and adapt different resources, partners, projects, and capacities to reach your goal. “You can also get to some of the root causes of fragility, because you’re able to help change patterns of cooperation and inclusion at a really large level,” he argues. That’s how World Vision arrived at Our Promise 2030. Their goal to lift up the world’s most vulnerable children and communities led them to pull all their resources and capacities together with a key focus on fragile contexts. This means continuing some existing initiatives, re-scoping some programs, while determining which others are no longer essential. It also means launching pilot initiatives in the coming year in several fragile contexts. Rebecca Wolfe was on her way to getting a degree in sports psychology when a first-year seminar at Bates College derailed her plans entirely. Now the director of Evidence and Influence for Mercy Corps, Wolfe is a leading expert on political violence, conflict and violent extremism. “I never thought this is what I would be doing,” she says. The seminar was called “Psychology of Peace,” and Wolfe recalls that she never once missed the 8 a.m. class. “I just fell in love with this course,” she says – so much so that she ended up designing her entire major in political psychology around it. It was during an internship at the Peace Research Institute Oslo (PRIO) that she first began to dig into a dialogue process methodology developed by Harvard professor Herbert Kelman. The next year, Wolfe became Kelman’s last Ph.D. student before he retired. Wolfe says she always intended to be a practitioner. But because she didn’t think she could get into graduate school without saying she wanted to be an academic, she convinced herself that she wanted to be one. In a prestigious post-doctoral position at Princeton University, Wolfe researched collective punishment: Why do people who are generally good believe that it’s okay to punish a group for the act of one individual? One of her advisors was Daniel Khaneman, an Israeli-American psychologist who, one month after Wolfe arrived at Princeton, won a Nobel prize in economics. But it was actually a connection Wolfe made while working on her Ph.D. in social psychology at Harvard that helped her eventually jump off the “academic treadmill.” As a student she did a fellowship in the Program on Negotiation started by Roger Fisher. 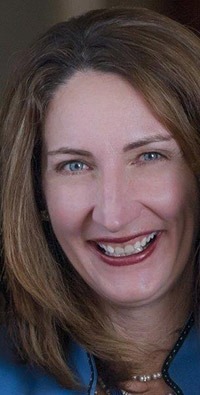 During her fellowship, she also helped Fisher write his last book, called Beyond Reason: Using Emotions as You Negotiate. Fisher was the founder of a group called Conflict Management Group, which merged with Mercy Corps in 2004. Two years later, Fisher helped Wolfe join Mercy Corps. Wolfe says that even before merging with Conflict Management Group, Mercy Corps had already been doing peacebuilding work. The first big program Wolfe worked on was in Sri Lanka, then Kenya around electoral violence. After that, she went to Tajikistan and Yemen, where violent extremism began to take center stage in her work. She first dove into issues of violent extremism in 2008, and by 2010, when she opened Mercy Corp’s Yemen program, she was already recognized as an expert in the subject. “It was a much different place than it is now,” she recalls. After Houthi rebels captured the capital, Sanaa, in 2014, Yemen has been embroiled in what the U.N. has described as the “world’s worst humanitarian crisis.” But in 2010, when Wolfe was researching which conflict in Yemen to work on, she says the conflict in the north was widely considered all but settled. Where there seemed to be increasing instability at the time was in the South, where grievances were growing stronger. So, she designed a program to try to reduce those vulnerabilities toward recruitment into any type of political violence, including violent extremist groups. And on the community-level, she saw a lot of success. That kind of frustration is something Wolfe has had to deal with often in her work. “You can do a beautiful peacebuilding program and really help people at a community level, but if the government continues to do things that don’t help or potentially hurt people, there’s only so much the program can do,” she says. Still, Wolfe believes that changing behavior is the “most sustainable change” Mercy Corps can have. That means looking deeper than macro factors – like country-level unemployment statistics – to understand why people make decisions to participate in violence. Wolfe says that’s actually how Mercy Corps became more well-known in the peace and conflict space, because they published a number of studies that showed that policymakers and practitioners were giving economic factors, like unemployment, too much weight over other factors, like grievances. Wolfe says that even with economically-based programs – like vocational training and unconditional cash transfers – it’s less about the economics per se and more about how better economic situations shift perceptions of local governments. Wolfe is also exploring how economic programs can help reduce perceptions among host communities that refugees will hurt them financially and harm their job prospects. Despite a lot of data that shows that refugees and migrants are often an economic boost, that kind of fear is perpetuating many of the social and political challenges of refugees and migrants. 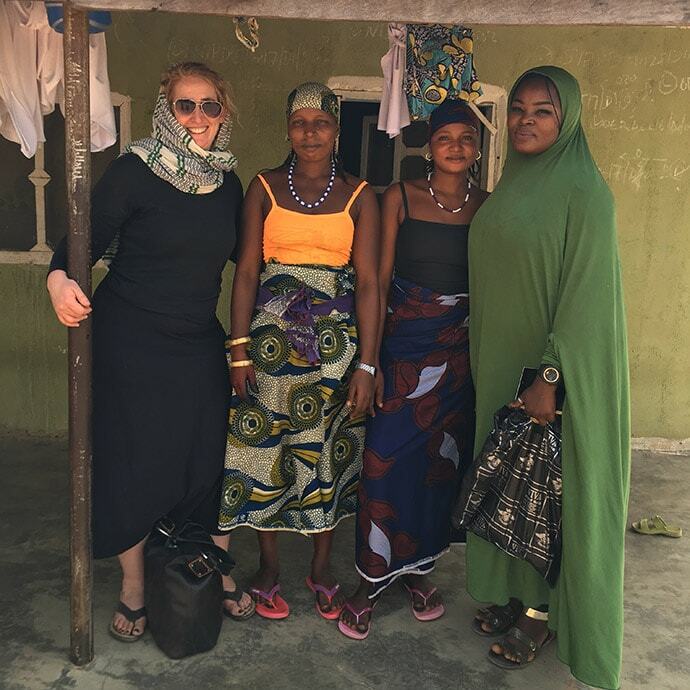 In the coming months, Wolfe will also publish two studies based in Nigeria – “inshallah,” or God willing, she says with a laugh. One will be on peacebuilding between farmers and pastoralists, while the other will be on how to help former members of Boko Haram – many of whom were kidnapped and didn’t have a choice – reintegrate into their communities. Although Wolfe never would have predicted that this is where her career would take her – that she’d be known as an expert on violent extremism and brief the Pentagon on stabilization strategies – it’s a mantle she’s assumed with grace.